In attempting to clarify his actual name, the Chelsea veteran has just made everyone very, very confused. Jon Obi Mikel has been called many things by Chelsea fans during his decade at Stamford Bridge... many of which are far too rude. However, while he may have got used to the abusive slurs hurled his way by a section of the Stamford Bridge support, it seems the Nigerian midfielder has finally had enough of people getting his actual name wrong. That is why the Chelsea stalwart who was was born John Michael Nchekwube Obinna (the son of Michael Obi) in 1987, but a mistake in 2003 changed things for the midfielder. 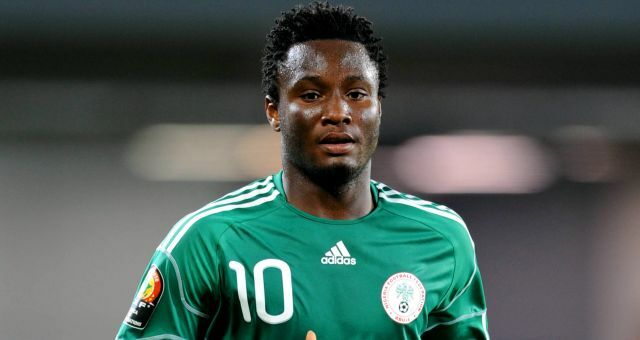 has just officially changed his name... to Mikel John Obi. For starters, it turns out that he was never actually called 'Mikel'. The Guus Hiddink favourite was born John Michael Nchekwube Obinna - 'Mikel' only became a thing when the Nigerian FA mistakenly used Mikel instead of Michael on his submission form during the registration process for the 2003 Fifa Under-17 World Championships. So much so, that despite the fact it's not actually his name, he's been happy to be called John Obi Mikel ever since he joined Chelsea in 2006. It seems, he has now officially changed his name to... Mikel John Obi.